EUGENE, Ore. — Eugene police Department says they’ve had eight burglaries reported throughout Eugene in the last week. Officials say during this recent period of warm weather, people have been leaving their windows open and doors unlocked and the incidents occurred overnight while residents were asleep. There were no signs of forced entry, and it appears the burglars took advantage of the easier access. Eugene Police officials say it’s a good time to remind everyone to double-check doors and make sure windows are shut. If you leave a window slightly open, be sure to have a locking device on it so it won’t open further. Be careful with leaving garage doors open and don’t leave your garage door opener in your vehicle outside. 1. Inspect your property while thinking like a criminal—where would it be easy to break in, without being seen by neighbors? If you want help with this inspection, call the Eugene police crime prevention unit at 541-682-5137 and ask for a free home security inspection. An officer will call you back and set an appointment. 2. Make improvements as necessary in terms of locks, lighting and landscaping. a. All hinged exterior doors should be secured with deadbolt locks. Sliding doors and windows should be snug in their frames, with lift and slide protection features. b. Exterior lighting should be even, eliminating pockets of shadow, and making it easy for neighbors to see prowlers in your yard. Motion detection lights can help expose intruders. c. Landscaping should be trimmed to eliminate hiding places near entry points, such as doors and windows. Trim bushes to no more than three feet high, trim lower branches off of tall trees, and/or plant thorny plants that discourage trespassers. 3. Arrange mutual aid with your neighbors, keeping an eye on each other’s properties while you are gone. Let them know where you will be vacationing, how to reach you, and/or who you expect to be visiting or house-sitting in your absence. Consider getting formally organized as a Neighborhood Watch. If you can get your neighbors together on a weeknight for a meeting, the Eugene Police Crime Prevention Unit will provide a presenter to run the meeting. 4. Take photos, digital images or videotapes of your possessions, for ease of recovery and for insurance purposes. 5. Mark your property with your Oregon driver’s license or personal I.D. number: OR________DL, using an electronic engraver. 6. 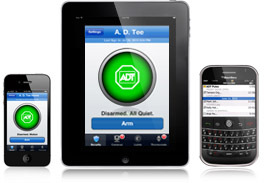 In addition to all of the above, alarm systems may be worth considering. Next Closed Circuit TV Systems.